Historically rich, University Paris 2 Panthéon-Assas is heir of the former Faculté de Droit et de Sciences Economiques de Paris, once comprising the Sorbonne and located in the heart of the Latin Quarter since the 13th century. Considered as France’s first Law university and very well-known among many foreign countries, University Paris 2 Panthéon-Assas is dedicated to upholding the tradition from which it arose, preserving, yet ever-striving to raise its level of excellence with respect to all fields of Laws. The LL.M. (Legum Magister – Master in Laws) in International Business Law includes 210 hours of teaching and accommodates approximately 30 trainees over a period of one academic year. The seminars deals mainly with practical case studies and certain key subjects, with a pluridisciplinary focus. The LL.M. prepares students and professionals for operations such as large acquisitions or market transactions, crossborder mergers, complex financing, restructuring, LBOs, financial engineering, and industrial projects. The University headquarters are situated in Paris 5th district, Place du Panthéon. The center at “rue d’Assas” was built in the beginning of the 1960s, giving the University of Paris, fragmented after 1968, its present name “Panthéon-Assas”. 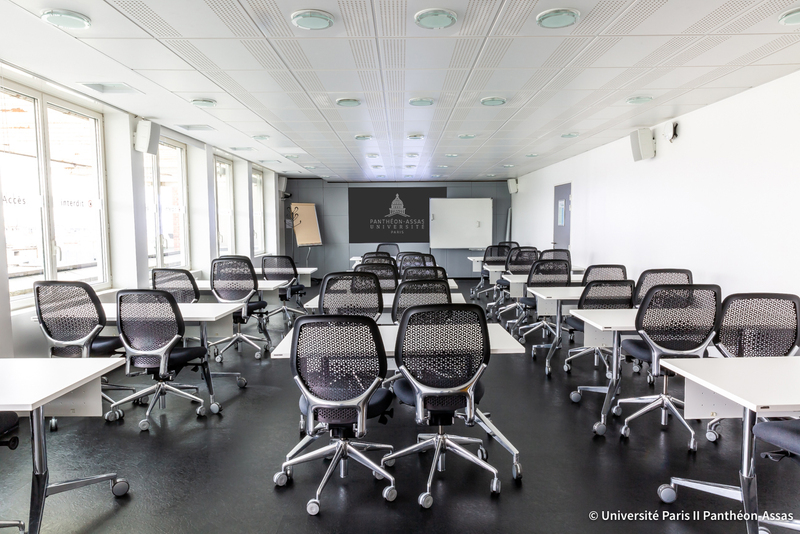 International campus : University Paris 2 Panthéon-Assas advocates diversity and cultivates a true synergy between research, instruction, and application. The university welcomes nearly 2,500 foreign students (14% of the total enrolment), as well as inviting over 200 guest lecturers every year. This vital opening to the world is assured by a continuous exposure to other cultures, philosophies, and diversified approaches to learning. Ever-growing and comprehensive library database : the new Assas library offers resources specialized in law, economics and business administration and a database with online catalogues, publications, and periodicals. Click here to know more about the libraries. Lecture room: a study room is available only for LL.M students. Restaurant: cafeteria open from Mondays-Saturdays from 9:00 am to 8:00 pm. Sport Service: proposes over 60 athletic activities (among them rowing, boxing, fencing, soccer, swimming, rugby, yoga…), as well as specialized training. Spread over 200 time slots, from 8:00 a.m. until 10:00 p.m. on Monday through Friday, these opportunities are accessible at beginning, intermediate, and competition levels. Print shop: Available at the Library. Internet and phone connections: Free wifi access around campus.